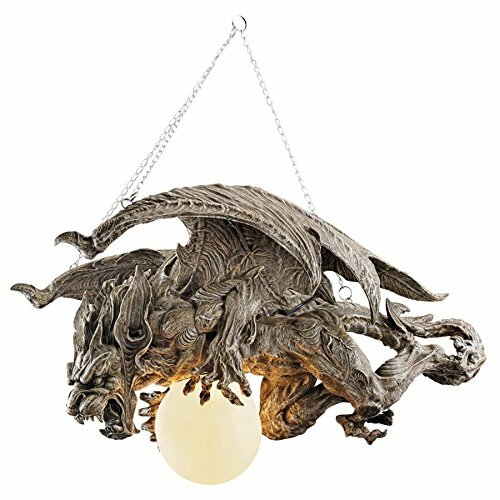 With sharp talons wrapped around the glowing orb that lights his way through the evening sky, this nearly 2and 1/2-foot-long gargoyle chandelier is a distinctive centerpiece for any gothic dcor! Cast in quality designer resin with switch-on cord; accepts your 40-watt bulb. 27and 1/2"Wx18"Dx25"H. 13 lbs.